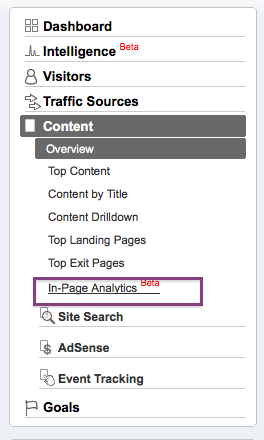 Atlast google has launched "In Page Analytics" in its google analytics tools. Nice and clean and actually give overview of amount of clicks right on your page. I am really impress with this. It gives another angle to analytics. There are few bugs though. Once you open this feature, its going to stay on your site even after you sign out. You might need to restart your browser. 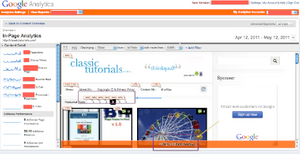 Below is a screenshot of this new feature on Classic Tutorials blog.